Your employees may not know what delivering exceptional service looks like. It’s up to you to show them. Be Our Guest customer service training covers the key areas that will ensure all your customers receive the exceptional service they deserve. Your employees are your biggest investment and greatest asset, with changing compliance regulations and increased competition, you can’t afford not to train. Our online training program is affordable, relevant, and designed specifically for convenience stores. 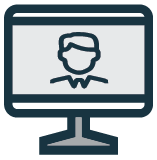 Complete SCORM package ready for upload to your LMS. 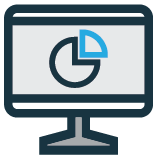 Engaging and interactive, the trainingGrid™ LMS delivers consistent results through the use of short interactive training modules, segmented training workshops and comprehensive reporting and tracking tools. This makes it easier than ever to record and track important documentation related to compliance and certifications. 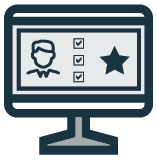 The trainingGrid™ offers easy-to-use tools and features that will streamline your administrative training tasks. Contact our partner, Ready Training Online, with any questions regarding the purchase options listed above.